Though we’ve started the conversation around mental health in Canada, it’s not enough. It’s time for action and it’s why I applaud the efforts of advocates like Frank Van Nie, Courtney Taylor, Dejan Bozin, Judy Wisdom, Shivani Sharma, Mark Farrant and Jeanette Schepp, the organizers behind the March For Mental Health Toronto (MFMHTO) on May 12th, 2018 who are calling on the government to improve access and increase funding for Canadians with a mental illness. I also commend Orillia Soldiers’ Memorial Hospital, Perinatal Mood Disorder Coordinator, Jaime Charlebois and all her efforts that went into organizing the 1st annual World Maternal Mental Health Day Walk on May 2nd, 2018 which included hundreds of moms from all over Simcoe Region. The second annual MFMHTO featured speakers from all corners of the mental health spectrum including Zach Hofer, a 13 year old youth from Barrie, Ontario who biked 400 kilometres to Ottawa last summer, raising over $100,000 for youth mental health. Jordan Axani and Megan Rafuse of Shift delivered a wonderful speech as well as juror advocate Mark Farrant. British Columbia Cariboo—Prince George MP Todd Doherty also spoke about his private member’s bill for a federal framework on post-traumatic stress disorder. I also lent my voice, repeating the call for a national maternal mental health strategy. Michael Landsberg of Sick Not Weak was also in attendance showing his support. He spoke at the event last year. In a press release, MFMHTO states that too many Canadians are “falling through the cracks” due to a lack of funding and availability of services resulting in “staggering” economic and human costs to the tune of $50 billion. Chances are good, someone you know is experiencing a mental health problem or illness, if not you, yourself. According to the Mental Health Commission of Canada, one in five Canadians are affected annually by a mental health problem and by the time you’re 40, your chances of having or having had a mental illness increases to one in two. A report by the Government of Canada showed that 70 per cent of mental health problems begin in childhood and adolescence and a University of Calgary study found that children of women with prenatal depression are more likely to suffer from mental health issues later in life. According to Statistics Canada, the time of life when you’re more likely to be affected by a mental illness is between the ages of 15 and 24. While men are reported to suffer from higher rates of addiction, women are twice as likely as men to suffer from depression. 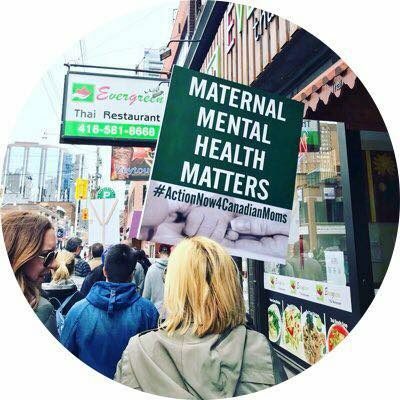 Up to 20 per cent of women in Canada suffer from a maternal mental health disorder and that rate increases to 40 per cent in those with a history of mental illness. Despite this, Canada still does not have a maternal mental health strategy and does not recommend perinatal depression screening. Mental illness can shorten a life by up to two decades. One out of every eight deaths in Ontario in those aged 25 to 34 is due to opioid use. Nearly 11 suicides occur in Canada daily and suicide affects First Nations youth up to six times more than non-First Nations youth. You’d think with all the awareness campaigns out there like the annual Bell Let’s Talk campaign and the Canadian Mental Health Association’s Mental Health Week would be enough to end discrimination but sadly, there’s still so much work to be done to end stigma. According to a study published in the Journal of Occupational and Environmental Medicine, over 60 per cent of workers in Ontario would be concerned about their workplace if they knew that a co-worker was dealing with a mental illness.